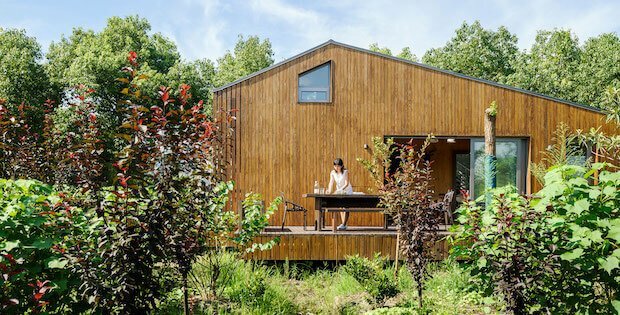 The MiniHut is a housing project that showcases the benefits of a prefabricated home. 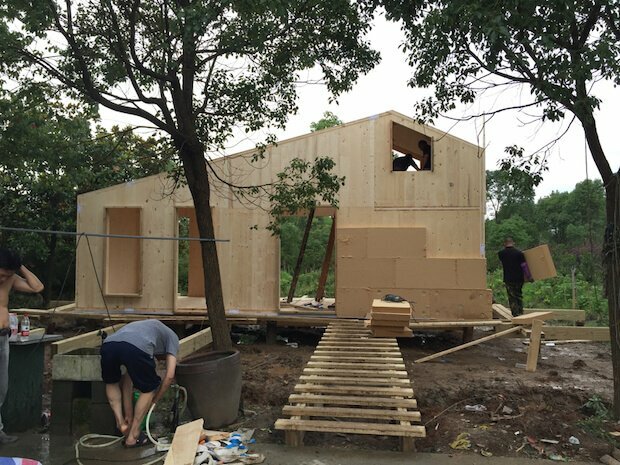 This home features a modular design allowing for optional add-ons to the base home. The base home is around 388 square feet. However, its interior layout makes smart use of the limited living space. The main living areas are on the ground floor while the sleeping areas are on the mezzanine. 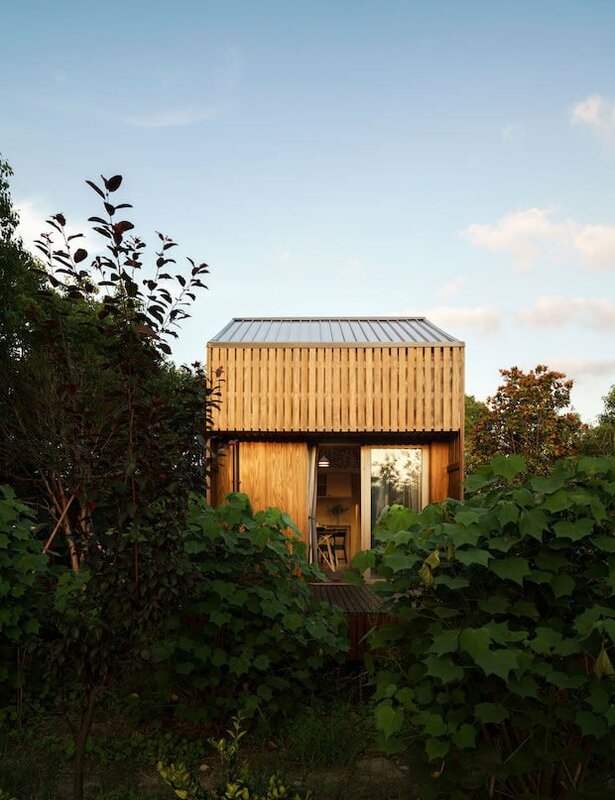 One of the main features of the MiniHut is its sustainability. 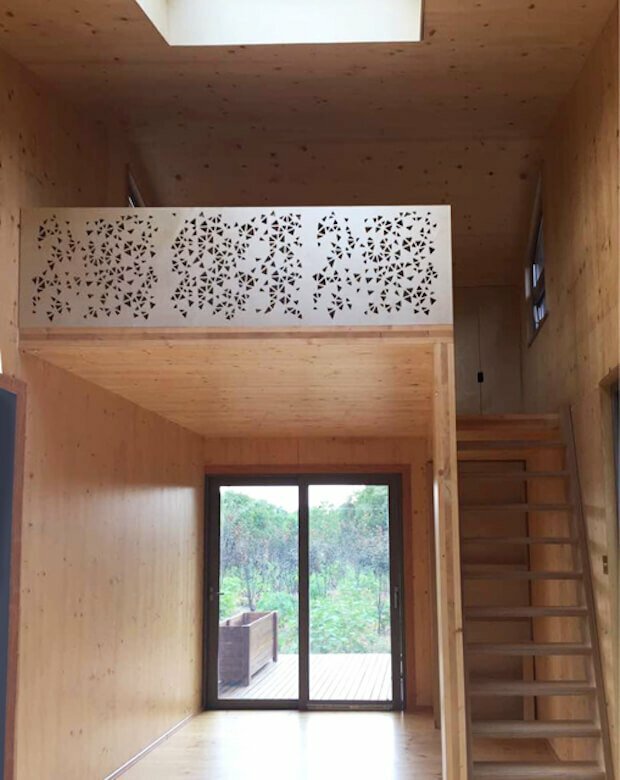 The use of cross-laminated timber gives this home good insulation properties. The roof is even strategically angled to accommodate solar panels. 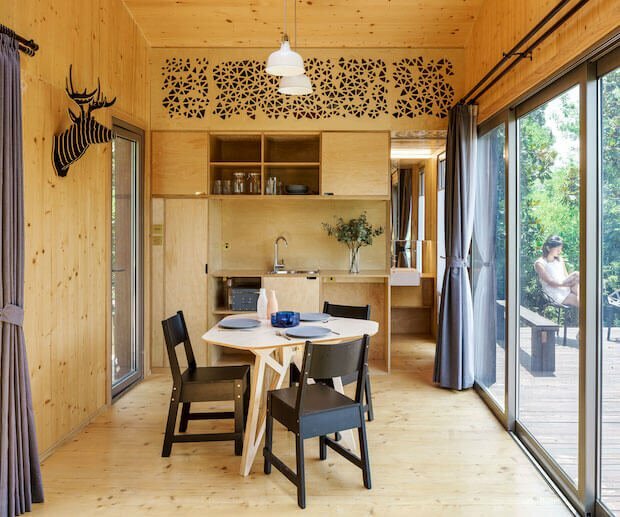 The MiniHut featured here is 36 square meters, but there’s also a 100-square-meter design – HutOne, which has two double bedrooms, en-suite, a media room, and living spaces – for those who need more space. There’s also the option to add a glass house on the side.